Phytotherapy is the mix of herbalism (herbs) and aromatherapy (essential oils), complimenting to strengthen natural healing power for healthy mind and body. I hope to share the healing experience and its effectiveness myself came across through this treatment, with the organic herbs’ power for both protection and enhancement to the body and skin condition. Beauty is the balance of one’s inner health and outer beauty, with feel of happiness both in mind and in body - is how I think of beauty. Stimulating the lymphatic system with all hand treatment using originally blended herbs and essential oils customized to meet the needs for everyone and for every condition. Foot bath with herb extracts, blended dry herb for skin conditions are used for steam, exfoliating facial skin scrub, and moisturizing facial masks. A short facial treatment with oil massage under steam, after warming up the body with foot bath. A special treatment with luxuriously used organic herbs and aroma oils. After exfoliating facial with herb scrub to smoothen the skin, neckline and upper back, facial massage is carried out. You will be left with sharp facial contour together with soft and delicate skin. In addition to the treatment time, please allow for additional 30min for counseling, changing and tea. Herbs and essential oils / carrier oils used at are “ECOCERT” certified, BIO marked and AB marked French organic products, “PROPHIDIET”. As brush up, original Japanese brand, “F organics” grin Cosme Kitchen products are used. Located near the beach, nearby stations are below, an hour away by train from central Tokyo, or 30min from Yokohama. Salon details will be provided upon reservation. Please send requests through <Contact>. The private salon is with reservations only to ensure your own private time. Hours are flexible from early morning to late evening and so please let me hear your convenience. As number of treatments per day is limited, cancellation within 24 hours will be charged in full. “Quality of life” - in Japan, is a concept much used in the fields of medical care and nursing, which I came across through experience in the family. I’ve come to think now that “Quality of life” is important for everyone. Beauty and health, what we eat and how we live, culture, fashion, love… I hope to provide more than facial treatment - to have a space to like yourself. A space to explore together, the fun and new would be wonderful. I wish for everyone to enjoy as each case may be, by living comfortably and fulfilling days as the years pass by. 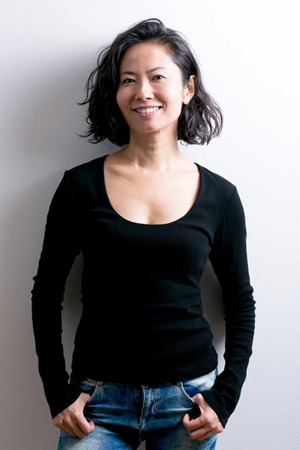 A very knowledgeable masseuse used to work in the world of mass media, where Futaba was attracted to phototherapy in her early 20s when experienced her own skin problems. Post modeling for seminars and for masseuse trainings at esthetic salons, she is educated on phytotherapy, treatment, constitution science (mesoderm science) and dietics. 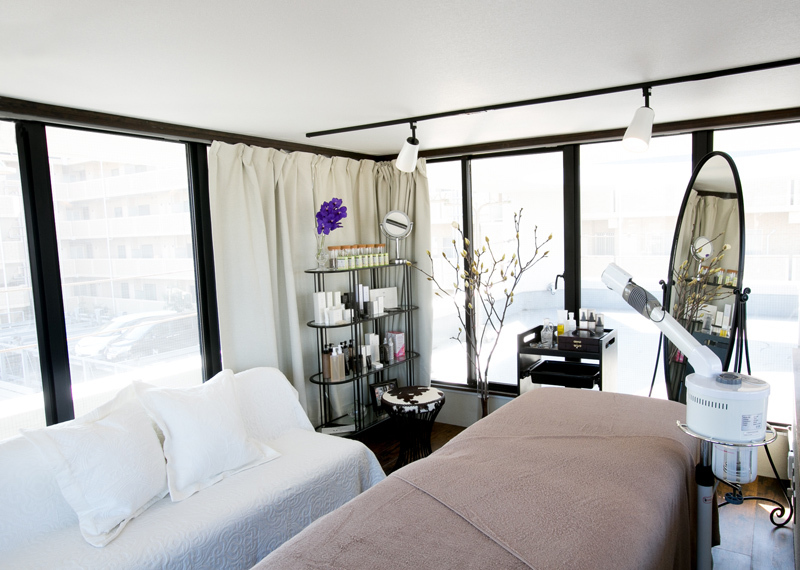 The private salon is a few minutes walking distance from beach. 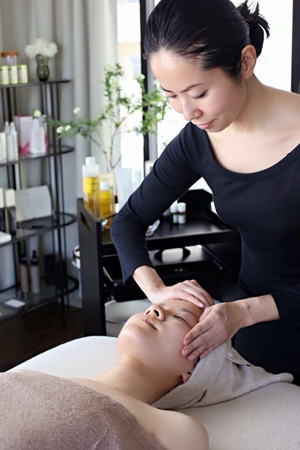 Besides the time in the private salon, she offers treatments periodically at a hotel in Tokyo and carries out workshops. Copyright © Les Deux Feuilles All Rights Reserved.